“Trauma Informed” and “Trauma Sensitive” yoga trainings are getting more and more popular these days as research is showing the benefits of yoga for those struggling with trauma symptoms. While the practice of yoga can help us tremendously, many of us often forget to use one of the greatest tools for self regulation that is available to us —our own voice. Ableism (noun): discrimination in favor of able-bodied people. When I started my yoga practice about nine years ago, I had the very common experience of feeling for the first time ever that I was at home in my body. I reveled in that, and began to befriend my physicality – an endeavor that would have never occurred to me as a possibility before. The sturdy and highly effective triad of asana, meditation and somatic therapy (which I became aware of through my favorite yoga teacher) provided me with a life-changing opportunity to integrate my mind, body and soul, and to develop tools that helped me become grounded and resilient to a degree that was simply not accessible to me through traditional talk therapy, or any other practice I knew about at the time. I had the good fortune of being in the honeymoon phase with yoga when I became chronically ill.
My fledgling practice was a comfort and a resource that helped me immensely, and I relied on it to create this new version of myself, after every able-bodied attribute that I relied on to define my place in the world had fallen away from me. I was ecstatically grateful for my yoga community at that time, and couldn’t (and still can’t) imagine trying to navigate that time in my life without it. But the honeymoon ended, as they all do. 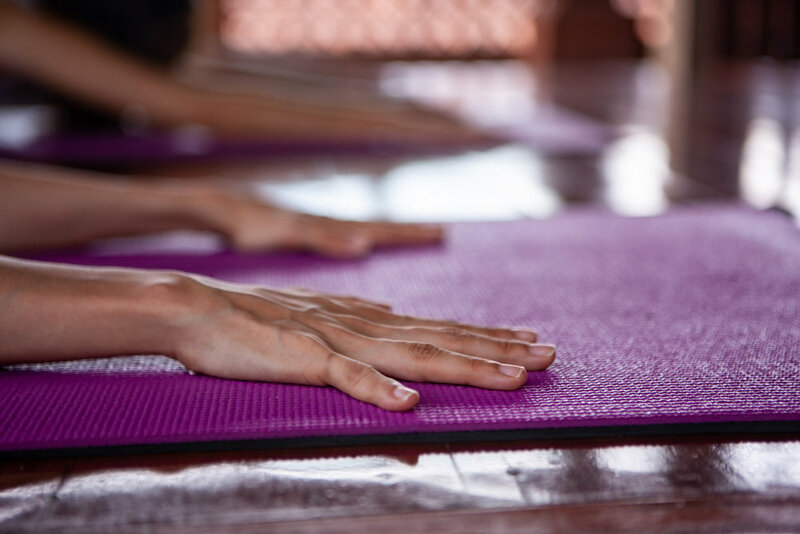 Several years into my practice, when I began to venture outside of the sanctuary of classes led by the first few teachers I knew, I was exposed to a much broader swath of Western yoga culture/community (WYC). For the first time, I was exposed to many ways in which WYC not only sustains, but often amplifies, patterns of marginalization that are embedded in mainstream Eurocentric/western culture. I became familiar with the routine of explaining, virtually every time I went to a new studio, that no, I am not new to yoga; yes, I have practiced before; yes, I am sure I have practiced before and no, I don’t want to go to the intro to yoga workshop you are hosting next week. I suppose I should be happy with the small amount of progress we’ve made since that time; in increasing numbers, fat students have taken the risk of taking classes at studios, and I am no longer always the fattest student in the entire studio. But I am still quite often the only obviously disabled one, and I still often get the same round of questions when I walk with my cane into a new yoga space. But the (slight) lessening of body size bias has introduced a new complication for people like me, who are not only fat, but also disabled. The still rampant fatphobia – as oppressive as it is – is no longer my primary obstacle. In fact, many of those advocating for fat acceptance have unwittingly joined ranks with the thin and inherently ableist majority of WYC. In spite of the protests of disabled practitioners, the “Just because I’m fat doesn’t mean I’m not healthy” sound bite has become a common mantra of yoga-centered fat activism, in response to tediously predictable and often fatphobic concerns about fat practitioners’ health. Technically, the “just because...” statement is true. It speaks to a common (and erroneous) assumption that all fat people are unhealthy. But here’s the thing: while it’s true that fat doesn’t necessarily mean “unhealthy,” it also doesn’t automatically mean “healthy.” So when I hear the “just because...” defense, I hear my fat and able-bodied cohorts distancing themselves from the disabled – and especially from those of us with chronic illnesses/conditions. While I’m sure that the distancing isn’t deliberate, it seems to be unconsciously intentional. If creating that distance weren’t important, the common response would be akin to “You cannot accurately assess my state of health based on my body size.” In contrast, the “just because...” statement implicitly asserts the healthiness of the speaker. So instead of including the disabled in the scope of “body image” politics, able-bodied fat activists are casting us aside in favor of identification with the “healthy” ideal. And so the campaign against fatphobia is now solidly ensconced on a platform of ignoring the existence of “unhealthy” yoga practitioners, just as much as is the dominant, thin-bodied WYC. Much more daunting for me than fatphobia is the ableism that encourages teachers and practitioners alike to assume they know better than I do what is important and necessary for my disabled body, as well as my Autistic and clinically depressed neurology. The belief that yoga can deliver us (from the unsettling, earthly reality that our state of health is impermanent and unpredictable) is relentlessly and ferociously guarded. It requires those that hold fast to it to perceive yoga as an all-purpose antidote to not only their own, but also my health-related challenges. The stereotypical assumptions and judgments required to support that belief are so ubiquitous and overwhelming that picking an example to share is like trying to decide which drop of water to point to in the ocean. Suffice it to say that it is not at all surprising to me anymore when someone I barely know foists upon me unsolicited advice about how I should ditch my mainstream medical treatments and pharmaceutical meds, and let yoga heal me instead (every chakra I have is, apparently, in need of some sort of balancing, which, once done, will cure me forever). It is not at all surprising to me anymore when someone I barely know foists upon me unsolicited advice about how I should ditch my mainstream medical treatments and pharmaceutical meds, and let yoga heal me instead. In retrospect, it became painfully obvious to me how naive I had been to trust in the Utopian “we’re all one” rhetoric; I really should have known better, but I, like so many other practitioners, wanted to believe that a dedicated practice would make me impervious to the hardships of day-to-day life in the real world. But in spite of my wish to hang on to this faith in eventual deliverance, I was exposed to so many instances of people like me being routinely judged, silenced, ignored and exiled for the sake of allowing others to maintain the belief, that I had to let it go. In effect, we – the disabled, the “unhealthy,” – are deemed unworthy of inclusion because our very existence calls the dogma of yoga as the provider of perfect and perpetual health into question. There is no way anyone can look at me and believe in the value of my practice without discarding the oh-so-comforting belief that yoga is a panacea for the hardships of life. Even if I keep my mouth shut, cultural assumptions about physical ideals will suggest to anyone looking at me that I have not (and probably can not) transcended to a self-made reality where everything is as I would have it be. But transcendence is not my goal. I practice because yoga helps me ground and self-regulate in the world I live in. I have no wish to transcend the world or my body. I want to live in this world and learn to be at home in this body – in whatever form it takes in each moment of my life. That is, to me, the only viable path to being as present, connected and part of the world, as I can possibly be. Many practitioners have the option of holding fast to the belief that an “authentic” and dedicated practice will someday soon bring them to a state of constant equanimity, free of suffering, where they will no longer be affected by the hardships and drudgery of day-to-day life. I don’t have that option, because the belief’s bedrock is a fanciful and unrealistic faith in an escape hatch that is accessible only to the most finely tuned and perfected physical form. And how that perfection is defined supports and amplifies the biases against the conditions it is designed to escape. So, here we are, full-circle, back again at the discomfort able-bodied people tend to feel when confronted by the possibility that they will someday end up like me. As much as that is true in mainstream culture, it is raised to a pitch that, while mostly subliminal, is frantic and ubiquitous in WYC. It makes sense, really. Because of its uniquely blended focus on both physical fitness and spiritual transcendence, WYC is a magnet for exactly those people who have a strong aversion to the reality that life is impermanent, and physical impairment is inevitable for anyone who doesn’t die suddenly at a relatively young age. While I in no way mean to imply that all western yoga practitioners are intent on denying the reality of aging and eventual death, the saturation of people who are is much higher than in mainstream culture. And so the biases and marginalization that support that denial are amplified. I, as a disabled person, am covertly discarded or censured because I am an unavoidable reminder that none of us are invincible and that we never have complete control over our destinies. Yoga cannot protect us from age and death, nor can it make us invulnerable to life’s precariousness. It cannot grant any one of us immunity from the ever-present possibility of pain, injury or illness. And so I will seldom be believed, or trusted as the authority on my own practice. Because one of the most insidious aspects of marginalization is that those who are marginalized are not to be believed; if you believe us, you have to acknowledge that the culture that supports you does so at our expense. In WYC, that means that we – the disabled – are collateral damage in the war on acceptance of life as fraught with uncertainty and some amount of danger. There is only one way out. For me to be included, accommodated, and respected, you, my able-bodied friends, must be willing to confront the fear and anxiety – in short, the suffering so aptly identified by the Buddha – of knowing your eventual death is unavoidable. If you confront that fear, we will both be better off for it. I know it sounds overwhelming. Yeah, it’s scary, but it’s really not as hard as it sounds. It’s a practice. Examine your beliefs and assumptions about the role traditional physical alignment plays in asana practice. Do you believe that there is an external ideal alignment or that alignment should be adapted to the needs and attributes of the person in the pose? Examine assumptions you make about other yoga practitioners based on their physical grace or stability. Include tics, “fidgeting”, gait and posture in your consideration. If you are a teacher, don’t assume that all students want or can tolerate physical contact/adjustments. Ask permission. Every time. Examine your beliefs about the relationship between health, disability and physical appearance. Make sure to include any judgments you have about people based on their physical appearance or your perception of their state of health. Examine your assumptions and feelings about the relationship between culturally prescribed definitions of physical attractiveness and a person’s perceived state of health, including emotional/mental well-being and stability. Examine your assumptions about the relevance, strength or purity of another’s yoga or meditation practice that you make based on their physical appearance. Observe, in a mindful way, all the yoga-related imagery you see in one day, and think about who is missing, based on race, gender-appearance, body size, age, clothing cost/style, presumed affluence based on background setting/location. It’s just as important to notice your assumptions and inferences as it is to notice objective attributes (e.g., do you assume they are neurotypical? if the person is not obviously physically disabled, do you assume that they are able-bodied?). Get introspective, and practice sitting with the discomfort of contemplating how your life would change if you were to become disabled. Notice, also, the type of disabilities that come to mind when you do this. Practice respecting the choices of yoga practitioners who say they take psychotropic medications, struggle with a mental illness/condition, or are neurodivergent. Notice if you see a correlation between their condition and your perception regarding the quality or authenticity of their practice. If someone tells you about a condition, illness, disorder, injury or disability that they have, do not offer unsolicited advice unless you have experienced the same thing. Do not assume that they are looking for a cure or a fix, and do not presume to think that you have a solution to offer them that they just haven’t thought of yet. Err on the side of assuming they don’t need or want you to fix them, unless they ask you for ideas or advice. Above all, do not suggest that yoga can cure them. Just don’t. Ever. 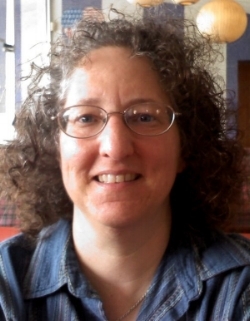 Laura Sharkey is the Information Technology Director at Off the Mat, Into the World. She left the corporate world in 2011 for health-related reasons and used the challenge of chronic illness as an opportunity to shift her focus to her life-long interest in social justice. She teaches meditation and has participated in several of the Yoga and Body Image Coalition’s campaigns, including a spotlight in YBIC and Yoga International's "This is What a Yogi Looks Like" series and Mantra Yoga + Health's "Every Body is a Yoga Body" feature. She is passionate about working to make yoga and meditation more accessible and welcoming to everyone.